Courtesy of Century 21 Showcase Realtors, Tom Rowley. Like-new 3 Bedroom / 2-1/2 Bathroom Townhouse in a park-like setting only 5 minutes from Downtown Monterey. Move-In condition with All Appliances included. Private, large Deck overlooks the Greenbelt. Attached 2-car Garage with inside laundry. Located in the Sunbelt of Fisherman’s Flats — Residents of Monterey Woods enjoy resort-like amenities with Pool, Tennis, Sauna / Spa + Clubhouse with full Kitchen. Visitor Parking at Tennis Courts. Home Owner Protection Plan included. Monthly Maintenance Fee reduced to $518 on Jan 1, 2019! Unit is currently rented on month-to-month tenancy. 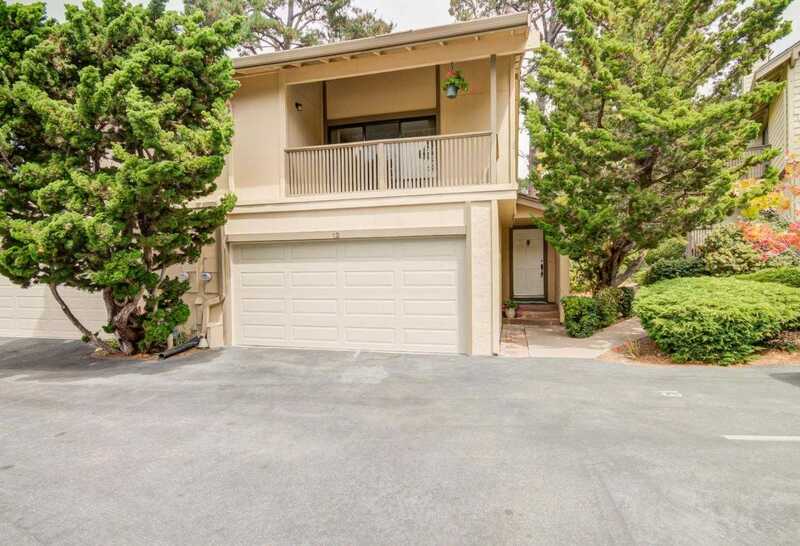 Please, send me more information on this property: MLS# ML81675550 – $649,000 – 1360 Josselyn Canyon Rd 12, Monterey, CA 93940. I would like to schedule a showing appointment for this property: MLS# ML81675550 – $649,000 – 1360 Josselyn Canyon Rd 12, Monterey, CA 93940.